The 8 Pocket Deluxe Executive Wallet is the perfect bi-fold wallet for anyone who demands a lot of carrying capacity but wants a slimmer feel. On the exterior is an Italian vegetable tanned leather with an embossed "Crocco" pattern. The Crocco leather is then sent through a two-step hand "tipping" process and waxed to achieve the "vintage" look. 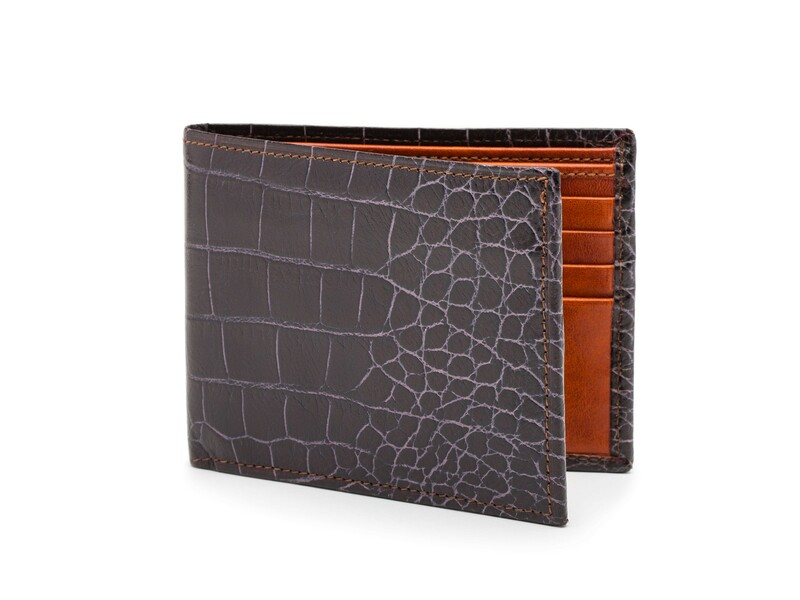 Contrasting the Vintage Crocco is our signature hand-stained, veg-tanned Dolce leather. The main compartment divides into two sections for organizing your cash and receipts. 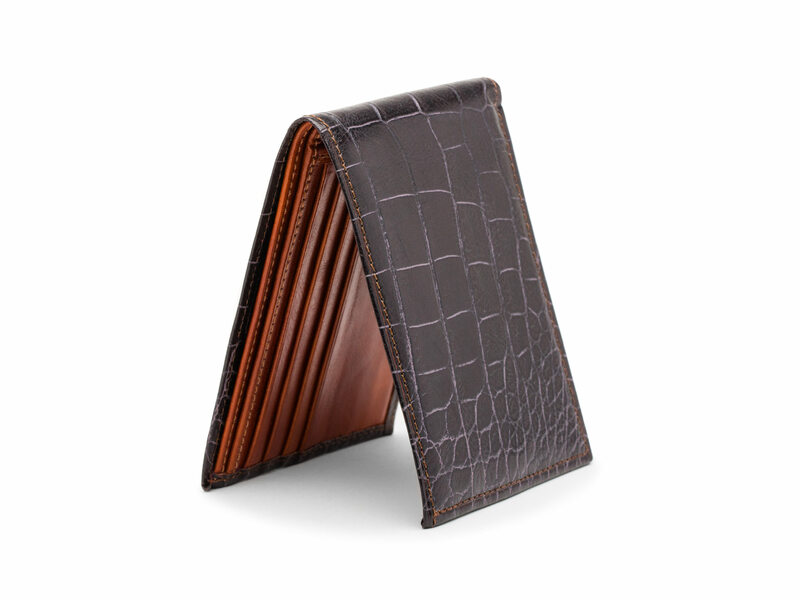 With eight card pockets on the inside, you're sure to find a place for each credit card, id, loyalty card and business card. There are two additional "hidden" pockets for storing even more. A clean, traditional design and lots of room, makes this wallet a solid choice. This wallet is everything I expected and lots more. Unique items is what I am all about. I'm surprised Bosca didn't charge $150 plus. I dare you to find a wallet of this quality for under $150. If you need a wallet with style & class ,YOU just found it. Stop your search & BUY IT NOW. I could go on but you get the idea. This wallet is everything I expected and lots more. Unique items is what I am all about. I'm surprised Bosca didn't charge $150 plus. I dare you to find a wallet of this quality for under $150. If you need a wallet with style & class YOU just found it. Stop your search & BUT it NOW. I could go on but you get the idea.